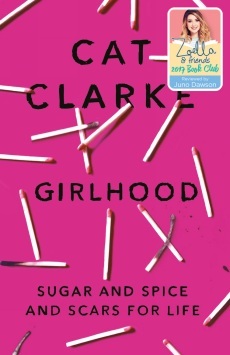 I am currently reading Girlhood by Cat Clarke. We always have a midnight feast on the first night back. Because that’s what you do at boarding school, right? Boarding school books are my catnip, and this one is off to a cracking start. I feel it really sets the scene and the tone of the story. I go this book from the lovely Rachel for my birthday. 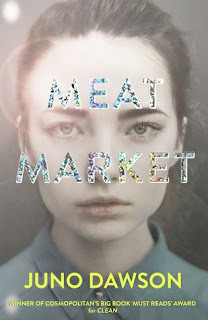 It is another YALC read (although the author is no longer appearing) and my third Zoella Book Club read. And I can't wait to get stuck in. A spider has woven its web across the porch and sits in the middle, at head height. A face full of spider is never a good start t the day. Urgh, I know this feeling! It's the worst. I can't wait to find out more and get properly started on this, as I have high expectations. So many people have loved it. Ick! Not much is worse than walking into a spider web. I'm reading The Danger Gang and the Pirates of Borneo! by Stephen Bramucci - a fun middle grade adventure. Happy reading! You've left me wanting more. :-) Happy weekend! Gross, I can't imagine waking up only to find a spider that close to me. Anyway, the quotes from this book sound interesting.